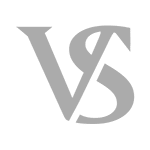 Robbery / Armed Robbery Defense : Meyer Van Severen, S.C.
Criminal defense law firm Meyer Van Severen, S.C. works on robbery cases. Robbery in Wisconsin is a Class E felony (15 years prison, $50,000.00 fine). Armed robbery is a Class C felony (40 years prison, $100,000.00 fine). If you’re facing either of these charges having a Milwaukee criminal defense attorney on your side can help. Criminal defense attorneys Matthew R. Meyer and Benjamin T. Van Severen regularly defend robbery cases and want to help with yours. Our criminal defense firm only handles drunk driving and criminal cases. What is the definition of robbery? Section 943.32 of the Wisconsin Statutes defines robbery. Robbery and armed robbery are related charges. Robbery requires that the defendant “with intent to steal, takes property from the person or presence of the owner by either” either by 1) using physical force against the owner, with intent to overcome the owner’s physical resistance to take or carrying away the property or 2) by threatening the imminent use of force against the owner or another person who is present, with intent to compel the owner to submit to the taking or carrying away of the property. Armed robbery: what’s the difference? Armed robbery is based on the same statutory definition listed above. The difference is that armed robbery involves “use or threat of use of a dangerous weapon, [pepper spray,] or any article used or fashioned in a manner to lead the victim reasonably to believe that it is a dangerous weapon [or pepper spray]. Regarding these crimes, the term “owner” means a person in possession of the property, whether that person’s possession is lawful or unlawful. This means that in certain cases, even if the “victim” illegally possesses the property, one cannot commit robbery or armed robbery in an attempt to remedy the illegal activity. These definitions must be understood by your defense attorney before quality robbery defense can be provided to you. How do we win my robbery case? We will talk about that at your initial consultation. We need to go through the facts and figure out the strengths and the weaknesses of your case. Once that’s determined we can determine if there are any motion issues, if you’d like to negotiate a plea, or if you’d like to take your case through a jury trial. We’re experienced criminal trial attorneys who will defend your case to get you the best results. It’s important that your criminal defense attorney keep on top of evolving criminal law. Robbery law has been modified with time. State v. Moseley, 102 Wis. 2d 636, 307 N.W.2d 200 (1981) clarified that a person satisfies the definition of “owner” if the possession is “actual or constructive.” In Moseley, employees of a restaurant were all held to be the owners of the restaurant’s money, which was kept in an office desk, because all of them had dominion and control over it. The also involved jewelry and a purse that sat on an office shelf. Since that jewelry and purse only had one true owner (the owner was the only person with control or interest in the property), robbery had only been committed to one individual. Wisconsin courts have held that carrying away is required for a taking to constitute robbery. In State v. Johnson, the Wisconsin Supreme Court reversed a conviction where the defendant never moved the automobile he was accused of robbing. The lesson here? It’s not robbery if the thing wasn’t actually moved. Matthew Meyer and Benjamin Van Severen are Milwaukee criminal defense attorney who have defended very serious cases, including robbery. We can assist you in preparing your best criminal defense. If you need help with robbery defense, contact Meyer Van Severen, S.C. today at (414) 270-0202.